Dr Thomas Tape wrote an article “Coherence and correspondence in medicine” that appeared in the March 2009 edition of Judgment and Decision Making. As you might expect, Dr Tape is applying some of the ideas of Kenneth Hammond to medicine. Tape notes that the distinction between coherence (making logical sense) and correspondence (being empirically correct) seldom appears in the medical literature. Tape suggests that the field of medicine began with coherence approaches and has only recently adopted correspondence approaches at all. The original rationale for bloodletting was based on the idea that disease comes from an imbalance of humors. This coherent argument was around for hundreds of years before being dispelled. It seems surprising that patient outcome was not the indicator of choice, but even today with medical progress and sophisticated statistics, it is not so easy to tell what works. Tape provides the example of atrial fibrillation as the current controversy between coherence and correspondence in medicine. Atrial fibrillation was first treated nearly one hundred years ago with rest and digitalis which slowed the heart, but did not correct the underlying rhythm disturbance. This was a correspondence strategy. Later by means of electric shock and/or anti-arrhythmia drugs, a new approach sought rhythm control. Rhythm control is a coherent strategy because a slow, regular rhythm moves blood more efficiently by allowing more filling time and avoids clot formation caused by dislodged clots. 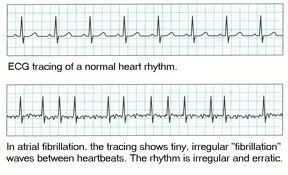 The rate control proponents say that rate control is good enough and avoids side effects of the anti-arrhythmia drugs. Tape reminds us that coherence based research to control blood pressure resulted in the drug Viagra only after the correspondence based clinical trials showed a marketable side effect and further coherence study explained why. Tape explains that the move toward evidence based medicine’s correspondence approach using clinical trials does not signal the coherence approach is unscientific. Tape suggests that both means of evaluating truth are necessary. Teaching physicians about the value of each of the two approaches could reduce controversy and improve research. The historic tendency to discount the correspondence data in favor of prevailing coherent theory should be replaced by a search guided by both philosophical traditions. I have been concerned that evidence based medicine and its correspondence basis would lead to rules that soon get out of date. Although such rules have been better than experts over the short run, I have wondered about the long run. Tape gives me reassurance that this can be overcome. This entry was posted in Coherence, Correspondence, Medical Decision Making, Uncertainty and tagged Tape on May 28, 2013 by admin.